Among the first clients referred into the therapeutic basketball program were two brothers with severe attention deficit disorders. 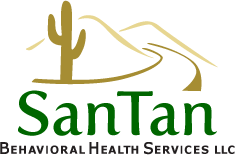 At the time of referral, these clients and their families had no idea how to cope with the clients’ existing behavioral problems. The clients had trouble following even the simplest of directions from their parents, teachers and other authority figures. The specific instruction, both basketball and life-related, that these clients have received on a weekly basis has made a big difference in their respective abilities to control their behavior. The therapeutic basketball program includes dedicated teaching time, during each session, that helps clients learn and understand the consequences, both short and long-term, of all decisions they make. The parents of these clients often call case managers and STBHS clinicians to comment on how the skills learned at basketball practice have helped the clients with menial tasks such as doing the dishes and taking out the trash as well as all things school-related. While the clients still have behavioral issues that need to be dealt with, the life-skills they have fostered through the therapeutic basketball program have helped the clients deal with their issues in a way that makes problematic behavioral displays much less frequent and much more manageable.